Taste your way around the city on this choose-your-own-adventure of Coffee in London. Discover London's artisan coffee scene, tasting a selection of coffees as you explore London. Each stylish Explorer Pack contains a curated map of more than 100 locations to find artisan coffee in London. Each pack also includes a unique code to activate vouchers on your mobile phone when you're in the seven carefully-curated partner locations. This allows you to collect a free coffee in each place, plus a special deal. The Explorer Packs also include tasting guides, a glossary, fun facts and recipes. 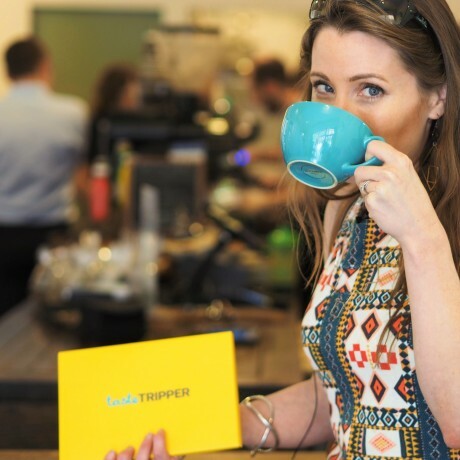 Everything you could want to fast track becoming a coffee geek. Packs for 2 allow you to explore with a friend and get a taster each in every location. The coffees must be collected within six months of the purchase date. An internet-connect phone or tablet is required to collect the coffees. The special offers are valid at the time of collecting the coffees. 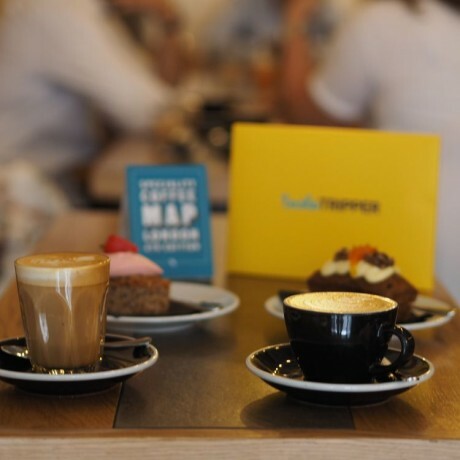 We also offer a London Coffee Explorer Pack for Two. Made from: High-quality thick paper. The products may contain allergens. Please consult with shop staff before consuming.